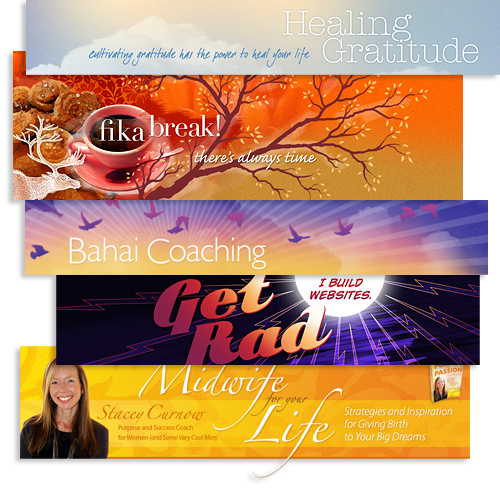 Looks like today’s the day to show off a couple graphics born from my Astounding Offer web header special. Here’s the basic concept as I imagined it: the client would send a few parameters via the online form, and I’d give birth to a one-take, drop-dead gorgeous design. It was kind of a nutty experiment on my part, but the results have been Quite Satisfactory … and so I’m extending the offer. clients: Lots of happy people!